Finding a dependable and affordable endodontic specialist should never feel like a chore or just another task to cross off of your to-do list. That’s why so many in Soldotna, AK, turn to Jess. 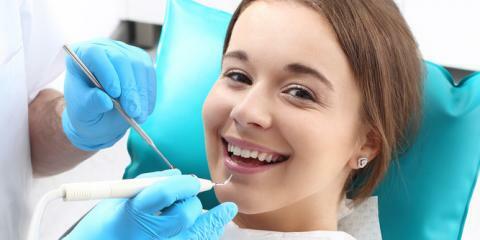 T. Ellis, DDS, MS, Inc., a dental facility with a reputation for experience and commitment to quality patient care. For more than 30 years, this dental office has provided a variety of services to the Kenai Peninsula, including tooth extractions, dental implants, wisdom teeth removal, and cosmetic dentistry. In addition to treating dental disorders and performing oral surgery, resident endodontic specialist Dr. Ellis can handle even the most difficult root canal or traumatic injury to your tooth’s pulp. Their experienced staff uses only the most modern and up to date technology and tools to ensure you have a beautiful and healthy smile when you leave their office. If you or a member of your family are in need of a reliable and caring endodontic specialist, contact Jess T. Ellis, DDS, MS, Inc. Call them today at (907) 272-3636 or visit them online for more information, including a full list of their services. Reviews for Jess T. Ellis, DDS, MS, Inc.